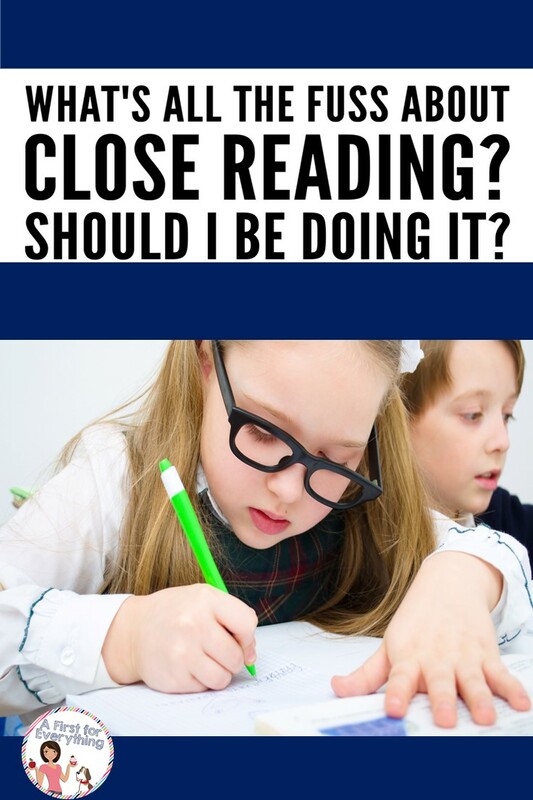 A First for Everything : What is Close Reading? Should I Be Doing it? What is Close Reading? Should I Be Doing it? I hear it all the time when they come to the guided reading table to read with me and see the book we read together the last time: "but we already read this," they can't wait to proclaim! "I know. We get to read it again," I answer back. Every time. This drives them nuts. In their young minds, we read it. It's done. It's over. Oh but my friends....."When you are done, you have only just begun." Close reading is the reading and re-reading of text. This reading and re-reading and analyzing of text leads to higher level thinking skills and a deeper level of reading comprehension. These are crucial concepts for growing readers. How often have you conducted a DRA or a running record on a student and their reading fluency is fantastic? They pause at commas, have inflection in their voice, their pacing is perfection and yet....they cannot recall what happened in the story. Perhaps their story retell is vague at best, or when you ask them to identify the character traits of the main character you get "She's nice. She's funny." And then...they look at you blankly. Close reading is a main component of the Common Core Standards. As students progress through their schooling years they will continue to read text and they will need to read for meaning to pull important information and details from the text. They will do this as they answer questions, take assessments, write reports, prepare presentations, and more. 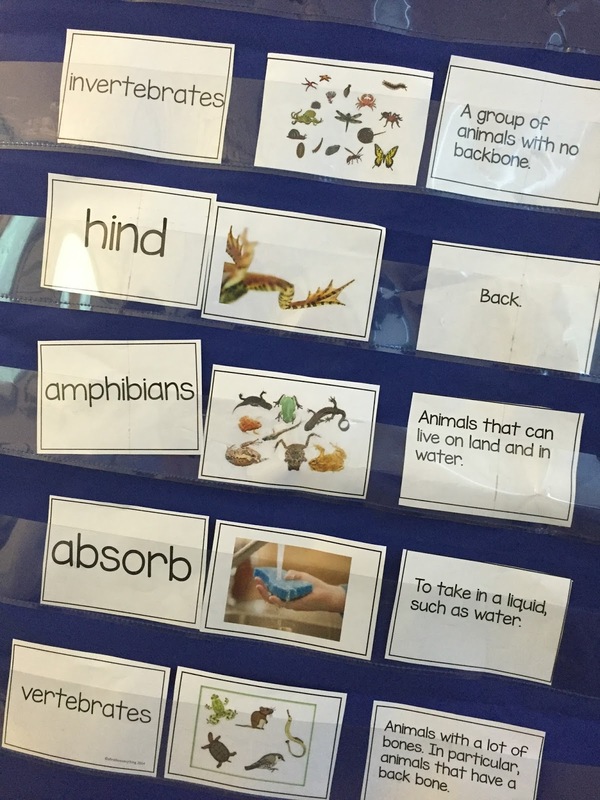 If students learn how to read for understanding and meaning, and interpret and analyze text at a young age while their early literacy skills are being set, then they will, in turn, be learning good reading comprehension skills and strategies. As they mature, they will continue building upon these skills, adding even more tools to their skillset. You need your students to become more independent readers but the time constraints of your time make it increasingly difficult to plan differentiation in your curriculum. And let's face it.....who has time to PLAN for differentiating? Logistically, it just happens, but it's not something we have much time to plan out beforehand. Students can become fixated on their reading level. It can often cause them to lose sight of the overall picture. It is not the length of the text. It is the content of the text. The words and the vocabulary and the reader's ability to understand the content is what is most important. That is easily seen and modeled with close reading passages. Also, close reading involves a lot of thinking and "brain power". The text doesn't need to be long to accomplish the task. 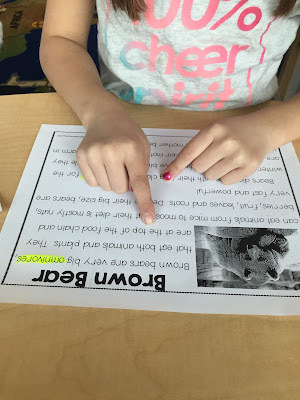 Most of the time, I use close reading during guided reading. I do this so that I can use text more tailored for the readers I am meeting with. I begin our reading by asking the students to read the text quietly to themselves first. Next, I read the text aloud and they follow along. Then, each student reads a paragraph. 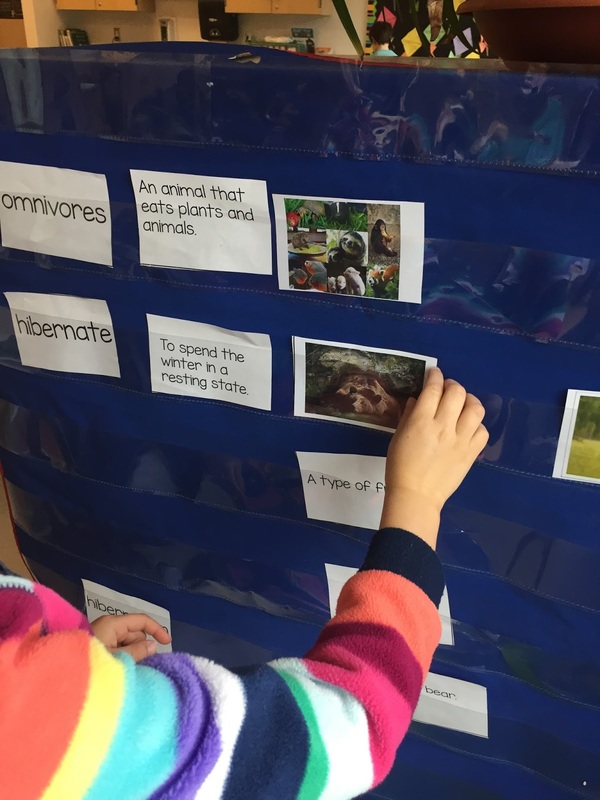 I add vocabulary words from the text to the pocket chart and we find the word within the text. We read the sentence, highlight the word in the sentence and try to determine the meaning of the word based on the sentence. We complete this process with all the vocabulary, matching vocabulary words, pictures, and their matching definitions. After we read, we talk about the text. What was the main idea? What details support the main idea? 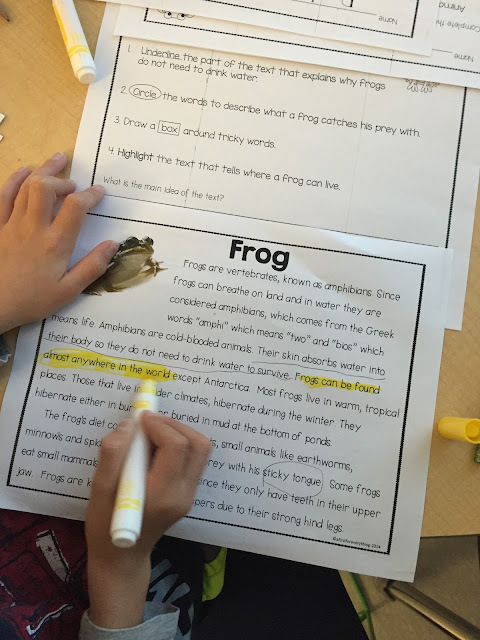 "Where in the text does it say or tell us the......."
Since they LOVE using highlighters so much I try to give them a chance to use them by asking them to dig deep into the text to find something and highlight it. For example, "Highlight the part of the text that tells what parts of the world frogs can be found." By the time we are done, our text is heavily marked with highlighted lines, circles, boxes, and more. It has definitely been closely read! So...are you ready to give it a try? Or....are you already doing it? I'd love to hear how it's going for you and what you think of it. 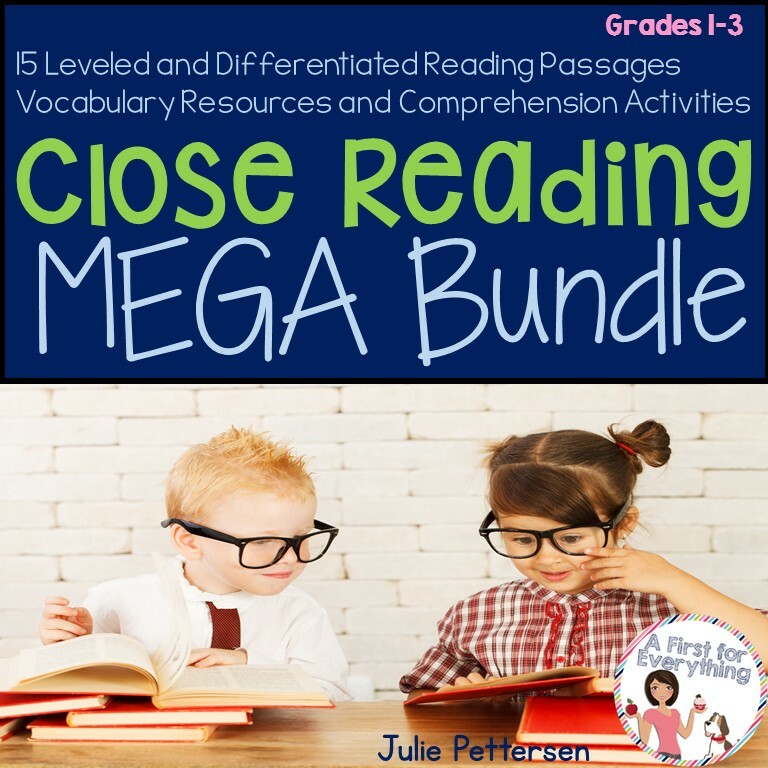 I have a Close Reading Mega Bundle that is over a year's worth of close reading that I use all year long in my classroom. It is more than half off right now for a limited time.